As is the case with all such community activities in Toronto area like marathons, climbing the CN Tower, parades, etc, in this activity too there were hardly any participation by immigrants from the Indian subcontinent. When will we learn to amalgamate with the Canadian society? Participating in such events will not only develop community spirit in the participants, but will also raise money for some charity. It develops leadership qualities in children and encourages the spirit of adventure in them. Preparing for the event and participation will keep everyone healthy and improve one’s confidence level. Completion of the event will give you immense pride and sense of achievement. It will prove to you that you are physically healthy to undertake such difficult ordeals. The local governments are doing their best to encourage cycling as a daily activity. Most of the roads in the Toronto Area have either a bicycle lane or off-road cycling paths. Bicycle Lanes are typically 1.5 m to 2 m wide, and designate a space on the roadway exclusively for the use of cyclists. Motor vehicles are not allowed to drive, park or stand in the bike lane. Off-Road Paths include trails through parks and along the arterial roads. Cyclists, skaters and pedestrians often share these paths. On arrival in Canada, I saw a something like a crash-guard which we have on the front bumpers of the cars back home on the buses in the Toronto Area. On inquiry I learnt that it is a cycle carrier to carry two cycles. Many commuters feel that cycling or taking the bus just doesn’t compete with the convenience of a car. But in Toronto Area, “biking and bussing” is easy. 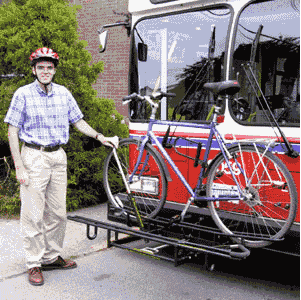 You can cycle to a bus stop or station and then bring your bike on the bus. By biking and bussing you’ll not only improve your health, but also help reduce gas emissions. In Toronto, bicycles are permitted on buses, trains and subways at all times except weekdays during peak hours. Bicycle transportation is a growing activity in Toronto and throughout North America, due in part because of the many benefits cycling offers. Transportation by bicycle is the most energy efficient mode of transportation, and generates no pollution, except in its manufacture. Cycling is often the fastest mode of transportation from door to door for distances up to 10 km in urban cores. Ten bicycles can be parked in the space required for a single automobile. Short distance motor-vehicle trips are the least fuel-efficient and generate the most pollution per kilometre. These trips have the greatest potential for being replaced by cycling and walking. BIXI – Bike Share Toronto – is designed to be a convenient way to get around the city, and is ideal for short rides and one-way trips. The members get access to 2,000 bikes across the city. They can pick up a bike at one of 200 stations, and drop it off at any other station when done. One need to become an Annual Member or buy a Day Pass to be able to use Bixi. An Annual Member can insert a bike key into a dock to unlock a bike. Day Pass holders will get a ride code, which when typed into the keypad on the dock, unlocks a bike. The first 30 minutes of each ride are included in the membership or pass price. One can keep a bike out for longer, but additional usage fees will apply. Reducing auto trips will mitigate ozone depletion, the greenhouse effect, ground level air pollution, photochemical smog, acid rain and noise pollution. Cycling contributes to personal health by enhancing fitness and providing an enjoyable, convenient and affordable means of exercise and recreation. Increased physical activity, such as walking and cycling, can reduce the risk of coronary heart disease and the cost of medical care, decrease workplace absenteeism, and maintain the independence of older adults. Cycling benefits one’s health regardless of the age at which one takes up cycling. 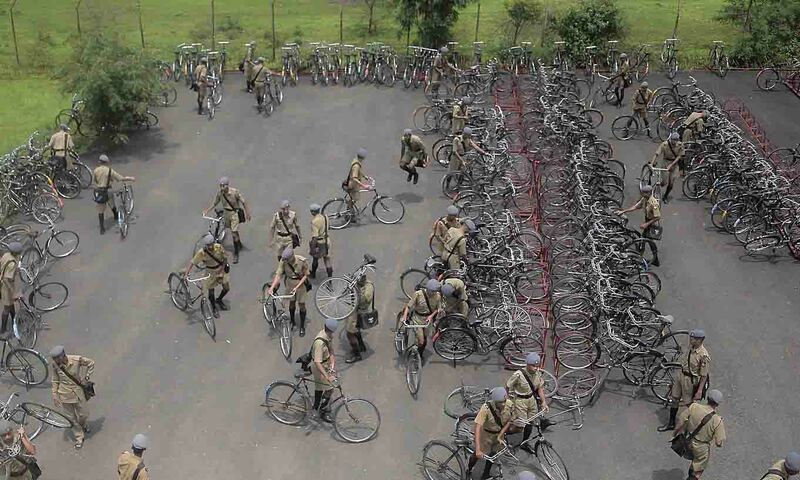 During our training at the National Defence Academy, Pune, cycling was the only mode of transportation for the cadets, else one had to run. The Academy campus is spread over 7000 acres and to reach various training event sites, a cadet had to cycle an average of 20 km per day. While cycling, one had to maintain proper squad discipline and pay proper respects to passing senior officers. Any minor infringement ensured that the cycle was on you rather than you being on the cycle. Every semester begun with the cycle issue and always ended with the cycle return, after which was a month’s vacation. We used to have a weekly cycle maintenance parade to wash and repair the cycles. Thus even today, the cycle is the most ardent companion of every cadet at the academy, without which life would have been much more difficult.